Vote here for this SXSW Interactive Panel. As the proliferation of online purchasing puts a global marketplace in everyone’s palm, how and why do select products emerge from the paralyzing pack of choices into the pantheon of “it” brands, whether for a fleeting moment or for generations? In today’s ultra-connected world, everyone has a voice. Consumers engage with brands on their own terms. Word of mouth drives their decisions. 94 percent of the time, a favorite brand will be recommended to family and friends but the challenge for brands today is to cut through the chatter of a zillion conversations. Many innovations that shape our lives come from organizations that value experimentation and collaboration. This begins at the corporate ethos level and is reflected in and enhanced by workplace design. In education, we are beginning to see pedagogy approaches that foster these same values, but the design of learning environments has not kept pace. In this workshop we distill the essence of what makes these spaces successful and use this information to create a list of characteristic design strategies for the next generation of learning environments. But the real work happens afterwards: how can the lessons we uncover help us implement change when we return to our own organizations? As headlines lament mushrooming student debt and a “higher education bubble,” Google—a choice employer and renowned innovator—says college degrees aren’t a prerequisite for the talent they seek. So why should young people invest in degrees? Is higher education still relevant? Universities must change to survive, and there is an interesting model that offers ideas for a new way of learning: the academic incubator. SXSW, the singular festival that takes place in Austin, Texas each March, has risen to become a critical incubator of emerging ideas for the way people live, work and play. We think it provides the perfect audience to engage in conversations about the ways design can enhance human experience. 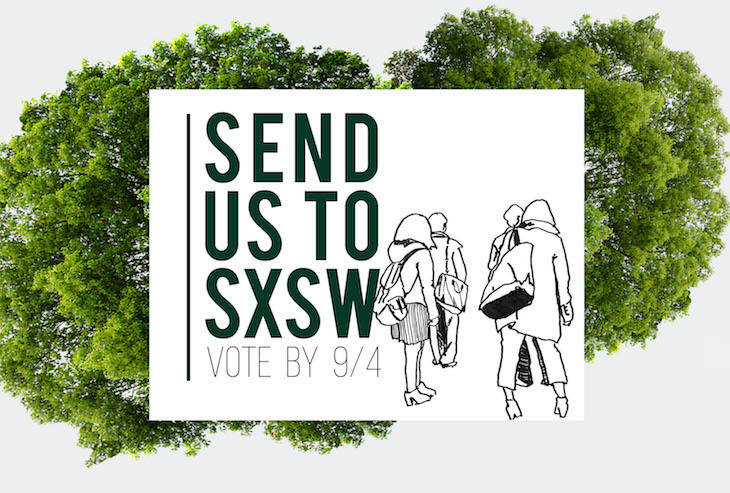 Gensler is proposing four separate panels for SXSW 2016, and we’d love your votes to help get us there. Voting is easy. Simply log in to SXSW’s panel picker, and give our panels a thumbs up. Here are our proposals.